Oh Boats! You know what they say about the happiest days of a boat owner! We know that you might be holding on to an old or broken down boat that you just can’t sell to anyone else. The good news is that Cash for Junk Cars Clearwater FL will also pay you cash for your old boats, dead or alive. Our process is simple, you just text us a photo of your old boat and we’ll let you know if we can pay you cash on the spot. Maybe you’ve purchased a brand new boat and now you’re wondering what to do with your old one. Perhaps you’re saving for a new boat but you have to rid yourself of the old one first. Towing is expensive and often times, Clearwater Auto Salvage companies may advertise that they’ll pay you for the scrap metal, but then once towing is added on, you still end up paying for your boat removal instead of putting money in your pocket. Cash for Junk Cars Clearwater is honest and fair and offers free towing when we buy your boat. Clearwater, Largo, St. Petersburg Cash for Junk Cars Clearwater FL Comes to You! Your boat may be in your yard, driveway or at a marina or dry storage in Pinellas County, Florida. If you need sell your boat but you don’t have a trailer to bring it to us, we’ll come to you and the towing is FREE. 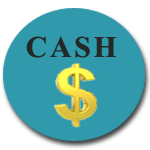 Scrap your old boat today and find out why Cash for Junk Cars Clearwater FL is a trusted auto salvage company who has helped many boat owners solve the dilemma of how to make some quick cash from your unwanted boat. If you’re ready to learn more about how to junk your boat in Clearwater, Largo, Dunedin, St. Petersburg or anywhere in Pinellas County, Florida text us a photo to 727-776-6376 or simply give us a call 24/7. It’s Easy to Junk Your Boat Today! Cash for Junk Cars Clearwater FL can come to you same day in most cases and pay you cash for your boat. We take boats that are running, boats with damage, boats that won’t run at all or boats that are simply taking up space and aren’t being used. We are also the go to place if you’ve inherited an old boat but you’re unable to sell it because let’s face it, selling an old boat on your own can be difficult and can take too much time and effort. If you just need to get rid of a boat, but you’re at a dead end and don’t want to pay hundreds of dollars to tow and dispose of your boat, call Cash for Junk Cars Clearwater FL and we’ll tow that boat, pay you cash and free you from the hassle.